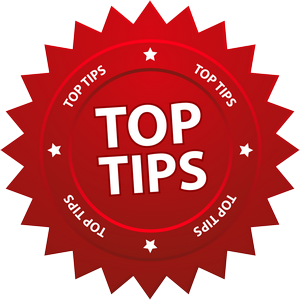 This is the third article outlining the Top 10 tips for accountants giving advice after the accounting exemption expires 30 June 2016. Make sure that the strategy and asset allocation you recommend to a client is consistent with risk profile generated by the risk profiling tool you use. If there are inconsistencies, you must clearly explain them. Remember, risk profiling tools are only tools. They all have inherent flaws that must be recognised and addressed by the adviser. Fwgs – our risk profile assessment is included in our software and automatically tallies the outcome which is included in the client’s Needs Analysis. This is really a reiteration of tips 6 and 7. You should not put all or most of your clients into the same strategy and products, especially not gearing strategies. For example, we saw a Statement of Advice for a client with taxable income of $42,000 that stated: ‘Your reasonable level of surplus income and high tax rate should make gearing an appropriate option for you’. The best interest’s duty requires that advice be reasonably likely to achieve the client’s goals and that alternatives have been considered. Understand any products you are recommending. Don’t advise on products you don’t understand. PDS to your client and record your discussion in the Statement of Advice (SOA). Don’t cut and paste PDS disclosures into your SOAs. Show you understand the products by using the same words you use to verbally explain the products to your clients! If you are giving advice to a friend, relative, colleague or employee, it is critical to formalise and document the process as you would for any other client. In addition; declare any conflicts of interest as you would for any other client.